It’s no secret that farmhouse is one of the most popular trends in decorating at the moment. That means as far as Christmas decor goes, you’ll find a lot of its influence there, too. 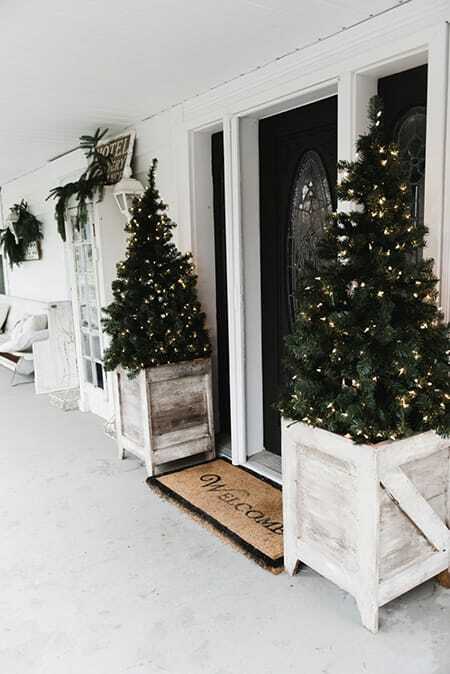 Even if you don’t decorate with the farmhouse style year-round, you can still incorporate it into your holiday decor. It lends itself really well to a cozy, vintage, holiday cabin vibe that so many people love. 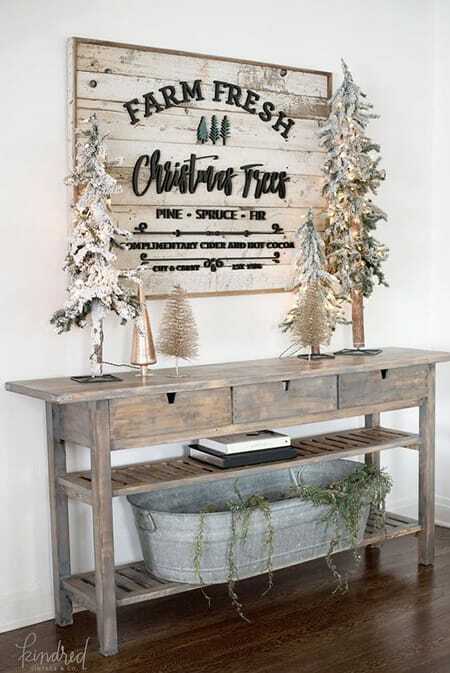 Farmhouse Christmas decor is very versatile. You can go minimalist or maximalist, casual or glamorous, colorful or neutral. It’s all about giving your decor a personal touch that feels warm and inviting. It’s also full of charming touches like quotes, comfy textures, and reclaimed wood. 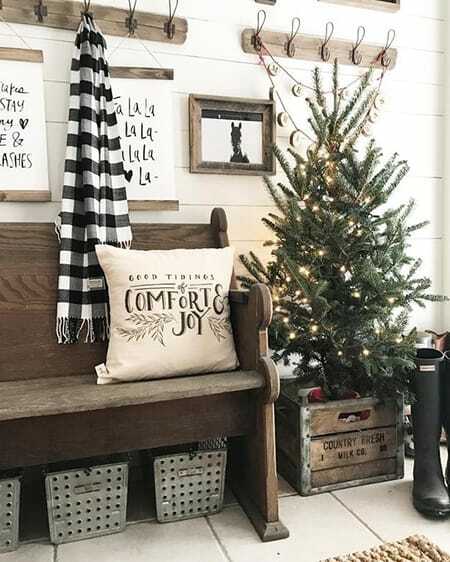 Here are 10 inspiring farmhouse Christmas decor ideas that are bursting with charm, character, and style. 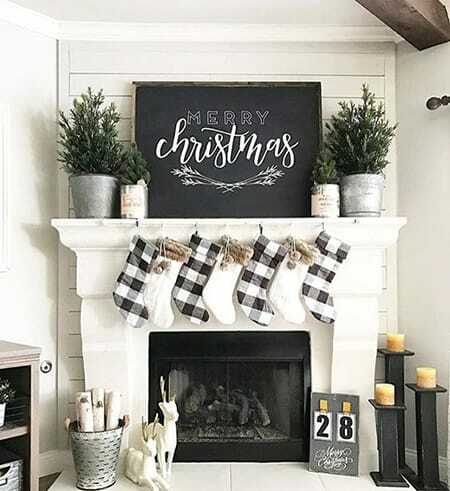 The black and white decor around this fireplace is full of farmhouse charm from the buffalo check stockings to the adorable sign. Pops of red look jolly against the crisp white in this farmhouse living room. The white decor looks like snow, especially when paired with the snow-tipped greenery. Dark wood contrasts beautifully with white in this entryway. The Christmas touches are subtle but festive. 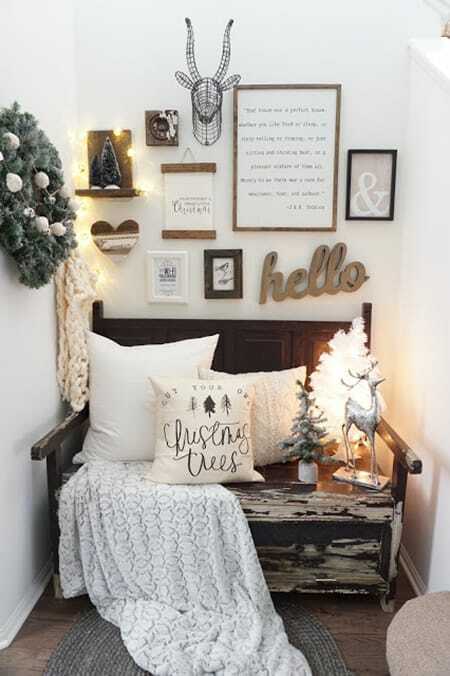 Love the simplicity of this rustic Christmas vignette. The sign and the tabletop trees bring a lot of charm. Source: Kindred Vintage & Co. 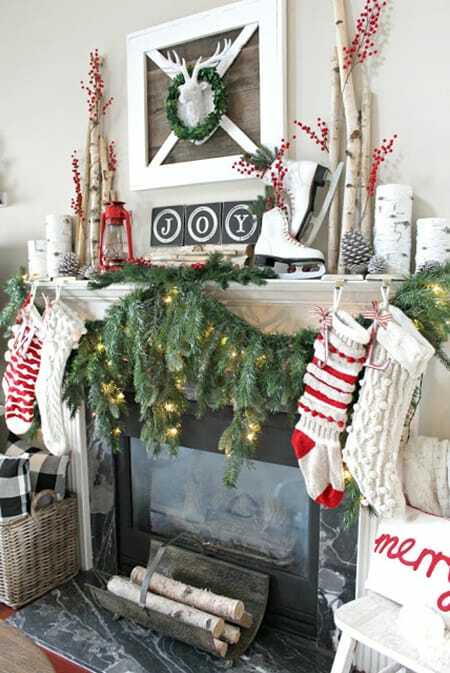 This Christmas mantel is comfy and cozy with classic Christmas touches sprinkled throughout. The birch wood is a nice touch, too. Don’t you just want to curl up on this adorable bench? You can follow the tutorial at the source to create these DIY farmhouse planters for your outdoor space. 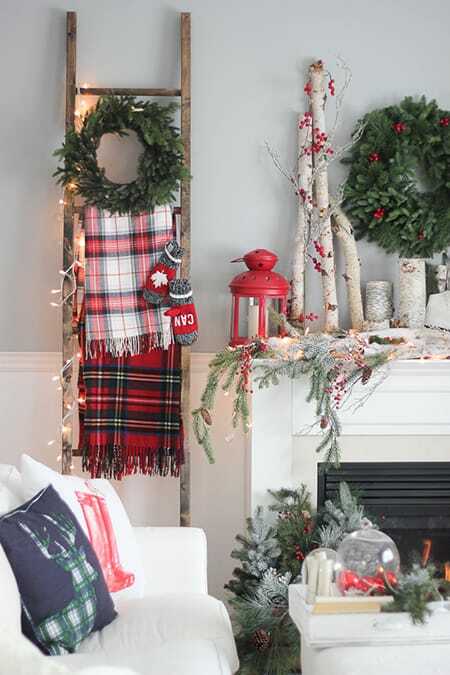 Muted red accents provide a softer look that has a vintage vibe for Christmas. 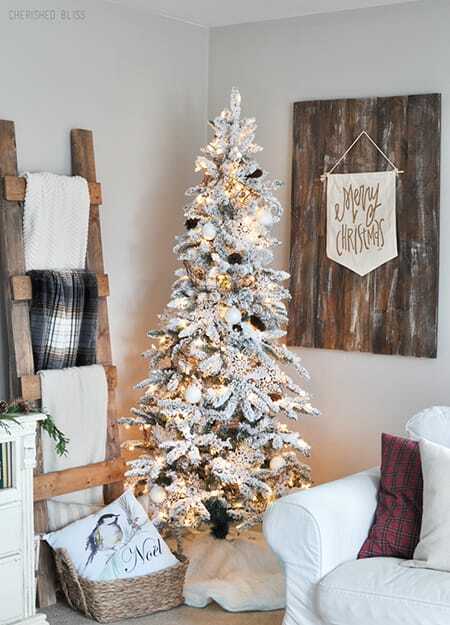 Snow-capped Christmas trees are perfect for farmhouse decor and help you create your own little winter wonderland. 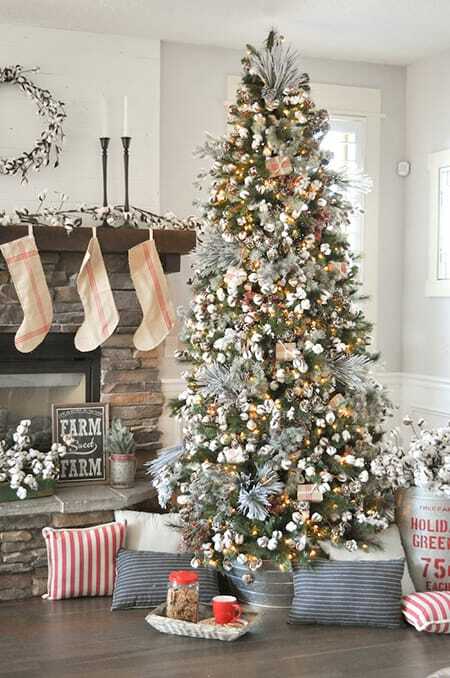 Christmas decor doesn’t have to be restricted to your main living areas. Why not dress up your bedroom, too?